About AMADEO SYSTEMS GmbH - Products, News and Contacts. 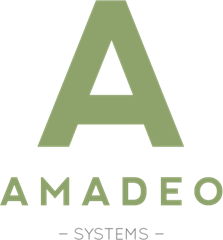 Founded in 2003 by Engineer Michael Makivic – Amadeo Systems is a global player in the manufacture of innovative future orientated access control systems. Holding more than 15 world wide patents, Amadeo Systems solutions utilise the latest advancements in RFID, Low Energy Bluetooth and Wireless based communication technologies.